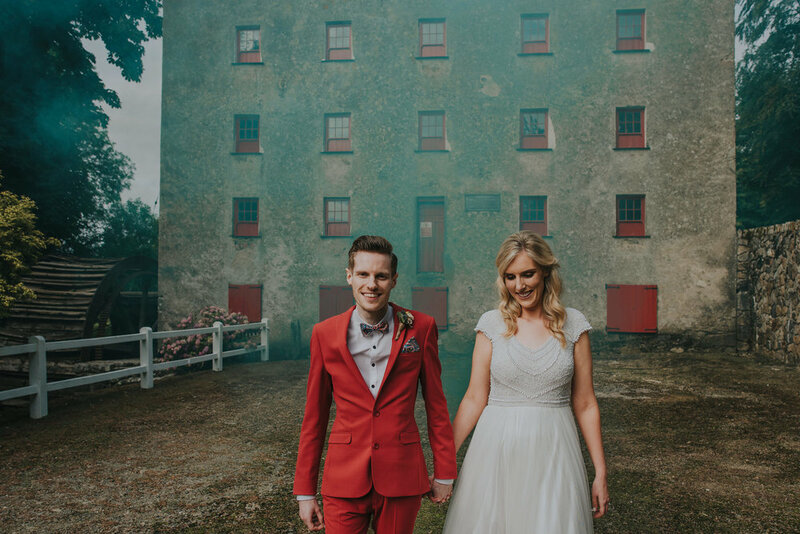 Hazel and Brian’s personalised-to-perfection Horetown House wedding. Hazel & Brian’s first date was at the cinema, ten years ago. Since then, they’ve kept every single cinema ticket of every single movie they’ve been too - and this collection of over 400 film tickets was displayed on their wedding day. 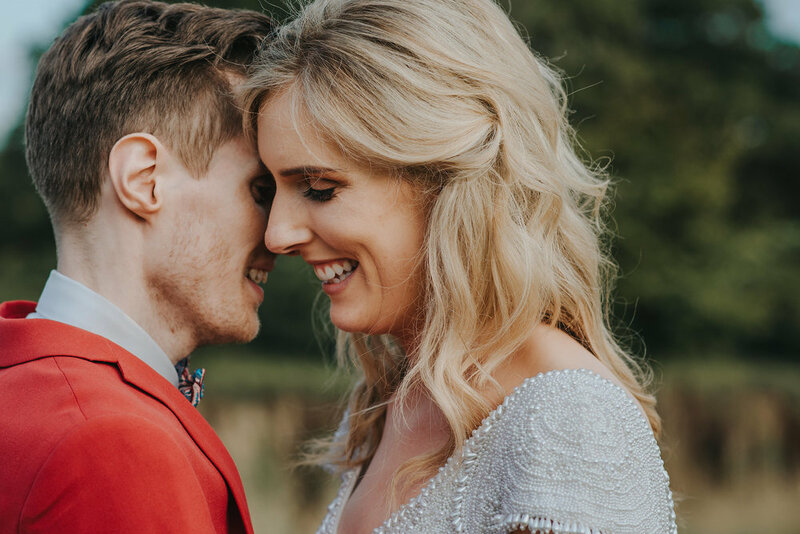 This couple put SO many personal touches in to their wedding - but one of my favourite tales about them actually took place before the wedding (luckily it’s on YouTube, so can be enjoyed any time, forever!) - Brian’s proposal! For 6 years leading up to proposing, Brian had been collecting footage of the couple, which he edited in to a movie trailer. He then arranged a private screening at their local cinema (this ‘private screening’ was disguised as a Christmas present, so as not to raise suspicions), where their love story, ending with Brian’s proposal, was the opening trailer. 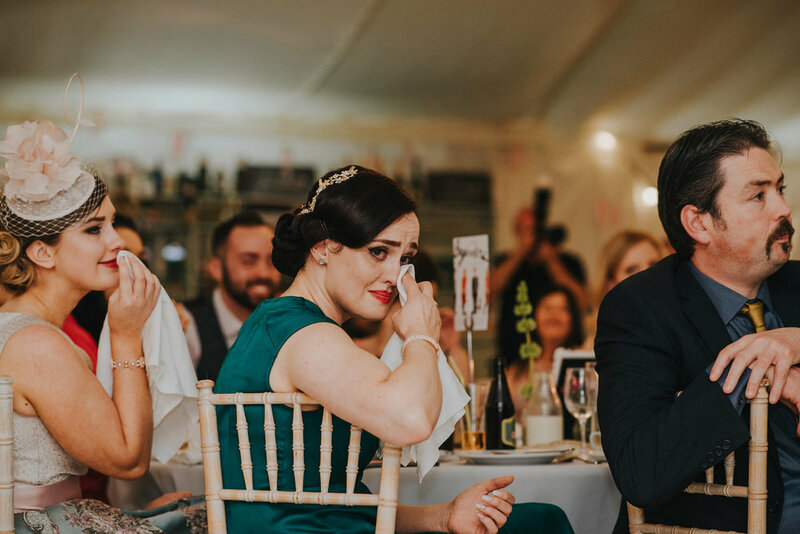 A movie theme ran through the wedding, with tables named after films the couple have seen and popcorn & cinema sweets as the evening treats! 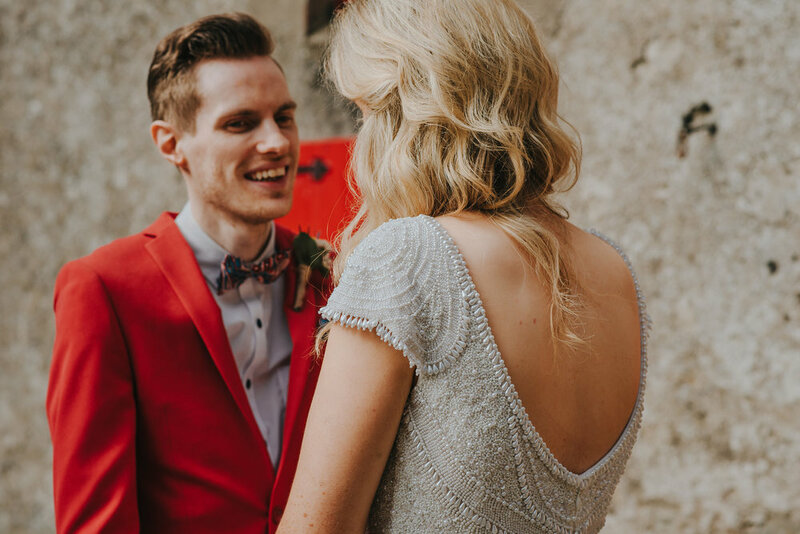 The couple were married in a church service at the beautiful Carlow Cathedral, surrounded by their family and friends. 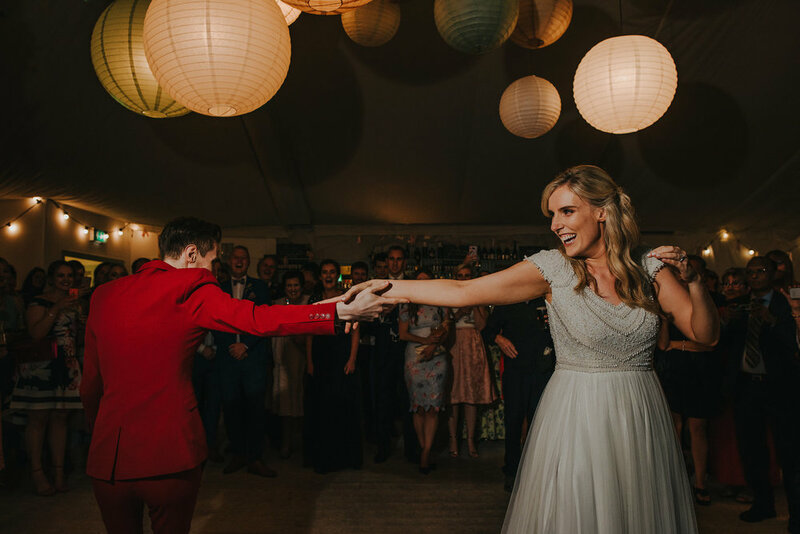 Hazel’s dress was from Folkster Bridal – I love this brand, so much so that I got my own wedding dress from them. 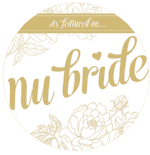 They have an incredible selection of designers and they take amazingly good care of their brides. Hazel’s sparkling shoes were BHLDN, another favourite of mine. The bridesmaid’s wore ASOS, as did the groom, while the groomsmen were decked out in River Island. All ties & pocket squares were Mrs. Bow Tie. 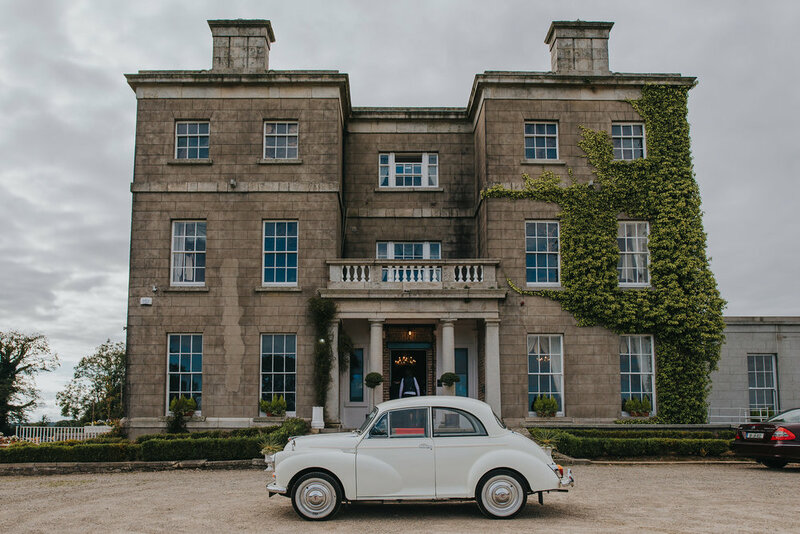 The couple had a Morris Minor for their wedding car, which Hazel drove from the church to the venue. It was about an hour’s drive, and they wanted to enjoy some time together before the madness of the reception began, which I think is a lovely idea. Wedding days can be pretty hectic, so it’s nice to have a bit of time to yourself. 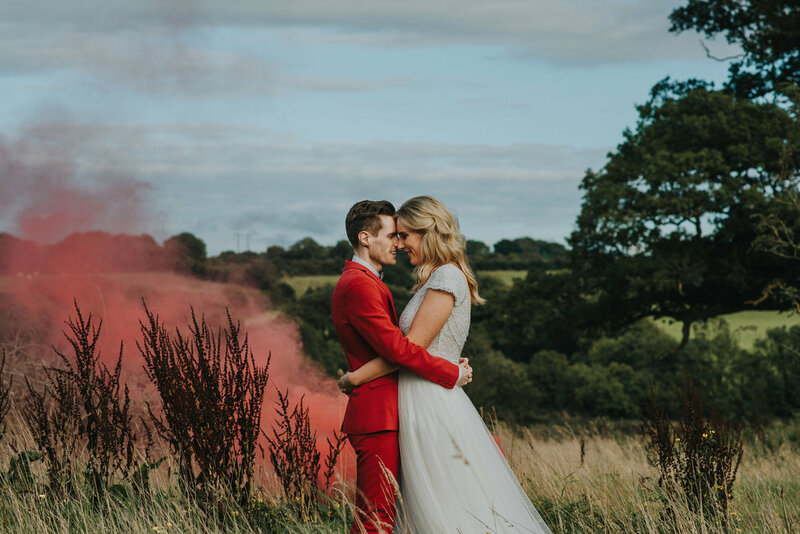 We stopped off along the way at Foulksmills for some portraits and some fun with smoke bombs! We then went on to Horetown House, a private country house in County Wexford, for the reception. As well as incredible views outside, Horetown House has a marquee built inside that can be used all year round. This, the beauty of the house itself and the rich family history mean that, basically, it has everything! 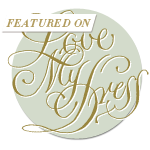 Couple’s Testimonial: We are so grateful that we had Mairead to photograph our wedding! From our contact before the wedding we knew that we were in the best possible hands. She is so professional, informative and friendly. Her attention to detail and symmetry is outstanding, you can really tell that she has a genuine interest in what she does, and we both really appreciated that. Her photos are not the typical wedding photos you might often see, they more so resemble a work of art. She has an amazing ability to really capture the most precious moments of a wedding without being intrusive. 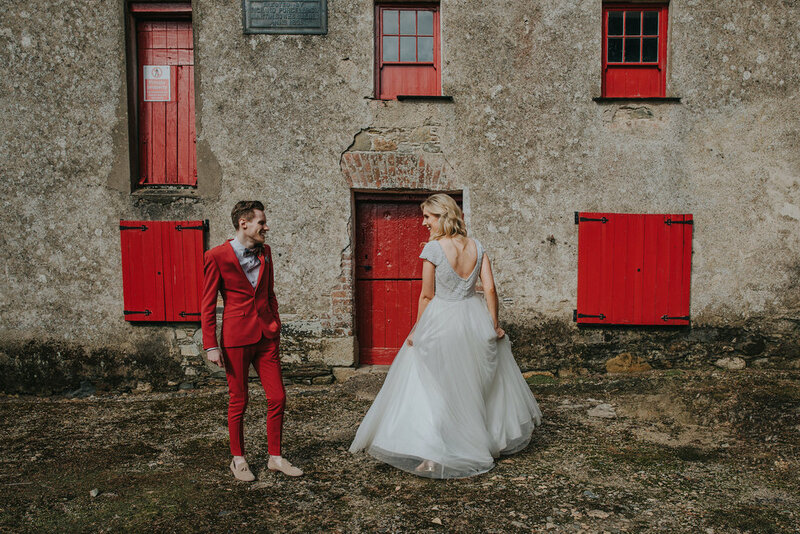 Everything was done in such a relaxed manner and Mairead really made us both feel at ease. 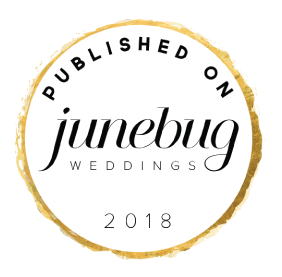 We are over the moon with our photos! They will serve as a great memory of our day forever. We would 100% recommend Remain in Light anyone! 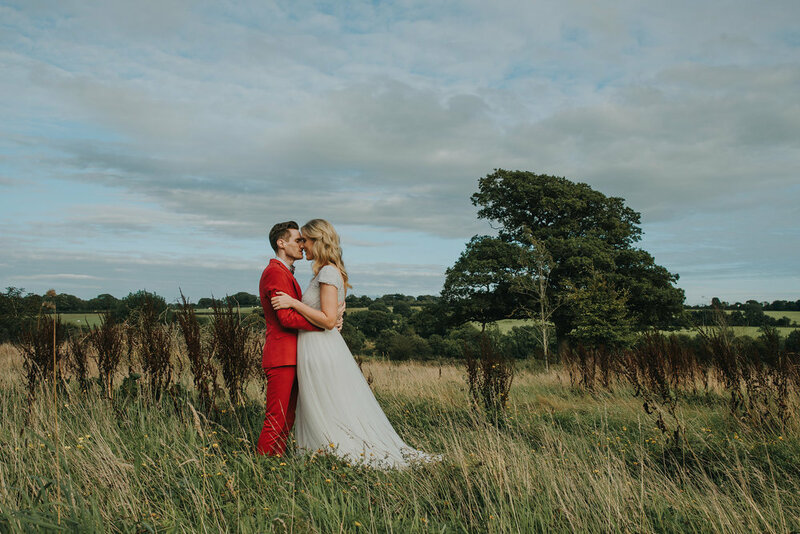 If you're looking for a creative wedding photographer, get in touch for a chat!